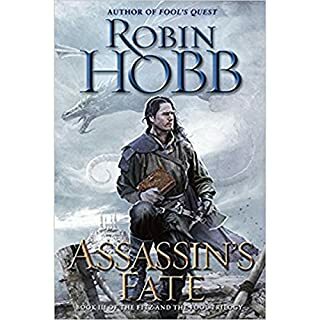 From an extraordinary voice in fantasy comes the stunning conclusion to the Farseer Trilogy, as FitzChivalry confronts his destiny as the catalyst who holds the fate of the kingdom of the Six Duchies...and the world itself. King Shrewd is dead at the hands of his son Regal. As is Fitz - or so his enemies and friends believe. But with the help of his allies and his beast magic, he emerges from the grave, deeply scarred in body and soul. 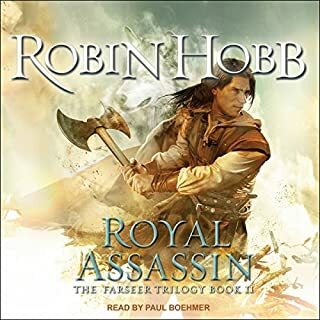 The kingdom also teeters toward ruin: Regal has plundered and abandoned the capital, while the rightful heir, Prince Verity, is lost to his mad quest - perhaps to death. Only Verity's return - or the heir his princess carries - can save the Six Duchies. But Fitz will not wait. Driven by loss and bitter memories, he undertakes a quest: to kill Regal. The journey casts him into deep waters, as he discovers wild currents of magic within him - currents that will either drown him or make him something more than he was. the ending was very anticlimactic, especially after pushing through 3 book . was not thrilled. I've read and reread Tolkien, Sanderson and Jordan. 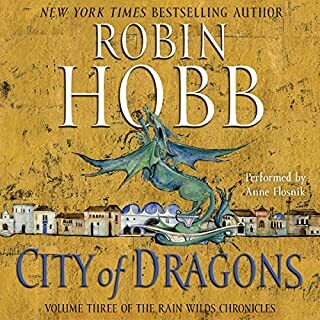 Now I know I'll be rereading Hobb as well for years to come. And the audio version with Paul Boehmer is a treasure. Characters are very well developed. The detail immersive. The author does take their time, and there's a few places where you'd wish they'd get on with it, but the ending it absolutely worth the build up. A great narrator for an even better story! I love the fact that I can listen through this series to get caught up again years after reading it. The narrator does a great job of bringing the characters to life. This book is one I will enjoy more then once. After thoroughly enjoyng the first two books I found Quest to be slow and anticlimactic. 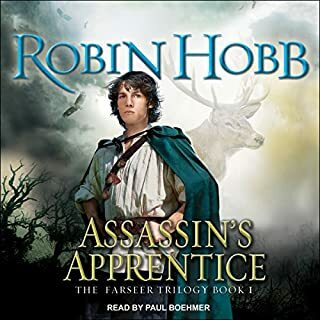 By the end of Robin Hobb's Farseer trilogy, I see that he takes a page from the Wheel of Time's reluctant hero, Rand. Except Fitz is far more than reluctant hero. He is just stupid. In the first two books I could forgive it because he is just a teenager. But as he ages, and even admits understanding and takes on new resolves, he immediately forgets them the next day in some fit of anger or his misguided sense of justice. If I'm going to dedicate 39 hours of my life to a third book, I expect some personal growth from the main character. Even the wolf has better sense. 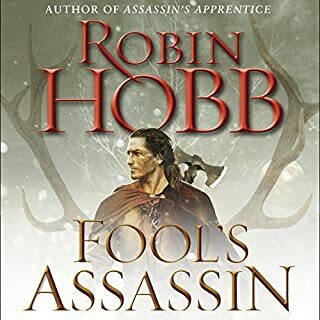 Having said all that, Hobb is masterful in making me care! So in spite of all the tedium and lack of ongoing personal, sustained understanding by the main character, I cared what happened to Fitz and all the other characters. 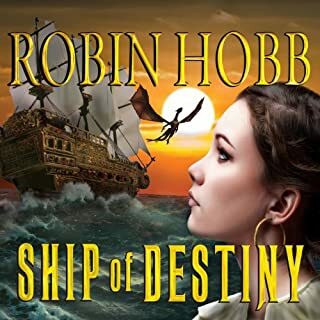 Hobb does a good job of developing all of them, and even getting right to the heart of the feelings of the female characters. He pulls together all the story lines and resolves them. I laughed out loud at the resolution of one of the tiniest story lines that I would have expected to be dropped out sight. I was ready for the end but was vastly disappointed in that Fitz finally achieved what he wanted. A life of his own choosing. But his decision about what to do with it continues his reign of stupidity. I could have sat there at the end of the audio and picked through how everyone else chewed him up and spit him out for their own gain, blaming them for his final decision. But then I remember how the "catalyst" created every situation all by himself. The ending is, indeed, tragic. And because Hobb somehow made me care, I cried. Boehmer is a good narrator and makes the characters easily understood. If you have read the first two books, you will want to read the last one. And there is no place within it I can say, "you can skip all this and go right to here." You'll have to slog through. Focusing on the Fool will get you through it. I enjoyed this book. Fitz makes a long journey, traveling as a peasant that seems real. 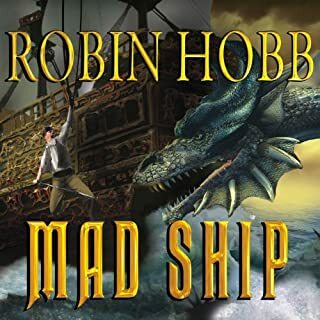 Hobb does a great job relating the adventure in a believable way. The interaction of Fitz, Burrich, and the Fool was quite excellent. I give the story three stars because the climax was very silly. It was a resolution that reminded me of a children's book. The defeat of the seemly unstoppable red ship raiders was barely mentioned, and the explanation of the great mystery of forging was glossed over in a couple sentences. After great start with first 1.5 books of trilogy, the last 1.5 books became never-ending situations of ineptness and self-loathing for the main character.... leading to cycle after cycle of running, capture, torture and escape. Since the main character is "writing" the story down as the narrator, it's sort of stupid to send him through so many beat-down situations - you know he lives. The plot sets up situations you can see a mile away, but the stupidity of the "hero" leaves you shaking your head. It's just hard to grasp that the villain has ZERO consequences through 3 books until the last few pages. His plots are known by everyone at the end of book one and there were no consequences??? The one bright spot was Paul Boehmer - one of the best jobs I've ever listed to. This is the last book, and it was a decent story. I thought this one dragged a little in the middle as they were traveling to the elderlings, but in the end it was ok. I felt a little sorry for the main character as he didn't get his happy ending. What made the experience of listening to Assassin's Quest the most enjoyable? The characters, Ms. Hobb has created a great group of living, breathing, flawed, and unforgettable characters. 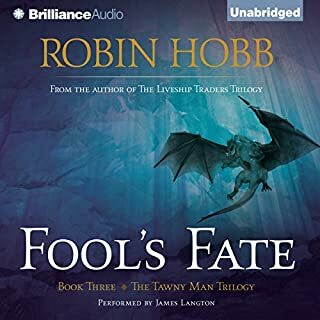 Trying to pick a favorite character between Fitz and Fool and Nighteyes is like having to decide which child is your favorite, to pick one is impossible. He does a great job, he doesn't over power the story with his voice, he brings it to life. Not once I did think about the narrator as anything separate from the story. 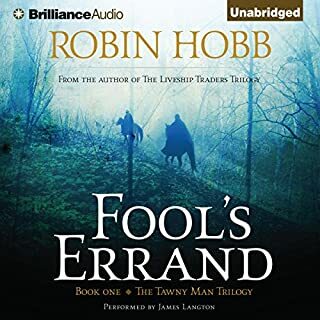 Please bring the Tawny Man series to Audible. Would you listen to Assassin's Quest again? Why? Perhaps, if I had someone to share the entire trilogy with. Alone, no... it was just too long. The writer really fleshed out the wit magic and bond with the wolf to an extreme, which I was all over. 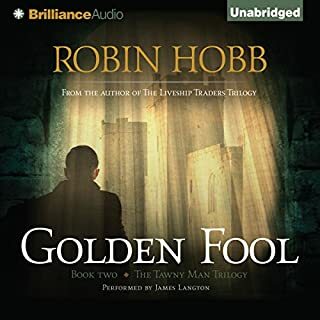 Its hard to choose, but I would say the character that I enjoyed the most was the Fool, even though hearing unexpected wisdom from Night Eyes usually had me pondering or nodding in agreement. This book takes a strange turn from the previous books. Though, I will say each book in the trilogy has its own feel to it. The first one is a coming of age in a world of political intrigue while the 2nd is more of Fitz trying to be the glue that holds everything and everyone together. And this book is that glue breaking, and the world falls apart almost compleately. This book crushes your hopes over and over and over again. At the same time, it introduces to ideas, and further fleshes out old ones. I will say this book is too long, and should have been split into 2 books, as the first half of the book feels like its own story..VENGENCE. While the 2nd half of the book is more of a quest to find Verity. I won't spoil the end, but its a bit sad and a bit endearing. I will say I wasn't too pleased with the hero's decisions to how to live out his final days, but to each their own. This is getting a five star rating, because the first time I read it that is how I felt. I must admit that listening to it after reading it was tedious. Don't get me wrong it had nothing to do with the narrator, he was good. It is just not a good reread. SHE OFFERED ME NO MORE SOLACE THEN A MAN MIGHT FIND IN HIS OWN HAND. This just went on to long. Usually in a trilogy the second book is the stretched out book. This time it is this the third book. Most of the book is run across the country, get captured, escape. Once would have been fine, but more then once was over kill. This was like a travel log with no plot. STOP WHINNING ABOUT IT AND JUST DO IT. Fritz is a lot more whinny in this and it is pretty long winded. 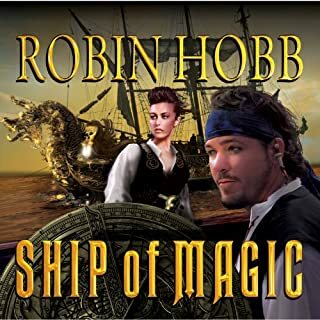 If you have not started the trilogy yet, let me say that I liked the Live Ship Trader series best, starting with Ship of Magic. 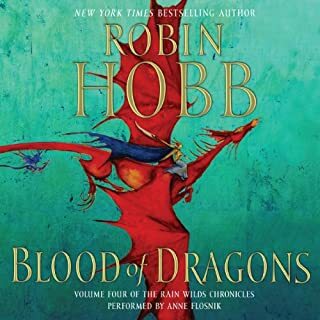 I am also really liking this Dragon Series that I am three books into right now, but the series is already four books long and may go longer. Even out the good with the bad. Its fine having a character go through hardships that they overcome but this guy doesn't ever seem to overcome anything. He just gets mangled and eventually saved by someone else and he is usually not bettered by the experience. 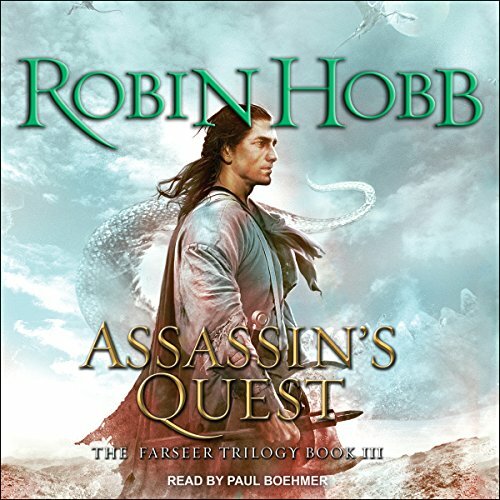 Would you listen to another book narrated by Paul Boehmer? Yes. Paul Boehmer was great. I guess it’s a reflection of the low-bar I have in mind for “high fantasy” work that this strikes me overall as pretty solid work. I continue to be impressed with Hobb’s ability to paint a scene from her imagined world with the kind of relevant detail that makes it seem to come to life. 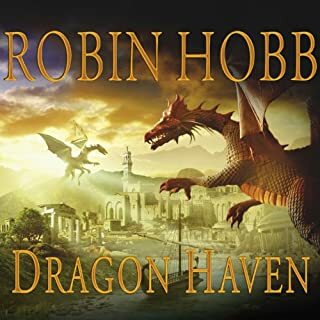 Even at her worst – and this is the worst of the four Hobb books I’ve read – she has a gift for solid writing that puts her in the forefront of this genre. 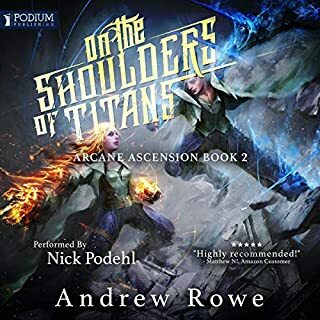 That is, she pursues tangents to the central story line that serve little purpose in moving the plot forward but that certainly thicken the spine of the published book. Here, she sends Fitz off on a “fool’s errand” to kill Regal. It takes up about the first quarter of the book, and it proves both fruitless and pointless. SPOILER: By the end of the book, we learn that keeping Regal alive and skilling him into submission is a far better revenge and a far more responsible move. Well before the end, we discover that Fitz should be on his way to find and serve Verity; anything else is self- and nation-destructive. I can see that from page one, and Fitz sees it eventually, but we have to go through 200 pages before he gets it. Alongside that core flaw there is the further frustration that this becomes increasingly a kind of “Deliverance meets the Lord of the Rings.” Fitz or Night Eyes endures terrible beatings all the time. We get arrows in the back, beatings to unconsciousness, and grievous loss of blood and strength. Our main characters come within millimeters of death every couple hundred pages, but they always rally. 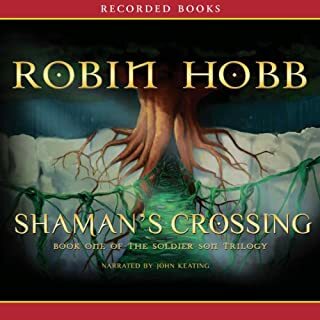 Hobb tells us about their suffering and maiming in gruesome slowness, but then, without any comparable attention to their recovery, they pull off feats of deep endurance the next time they’re called to do so. I’ve led mostly with the complaints. In the end, I do think Hobbs’s vision has some compelling elements. 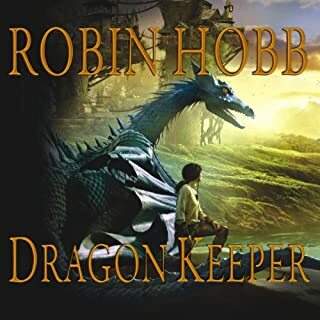 SPOILER: Her notion of what it means to wake a dragon grows thoughtfully out of the theme she’s been pursuing throughout the trilogy: the challenge to find a way to connect with others. The magics of the skill and the wit accomplish some of that, but the work of opening up to someone else is itself a powerful magic. (The scene where he connects with Kettle, opening the burn of her skill-mind, is one to think about. In the end, beyond the magics in play, Fitz has to be able to hear a frightened other in order to bring her around.) One wakens a dragon then, by giving up ones entire humanity. You put your life – not your strength but your memories, joys, and hopes – into something inert and that quickens it. The process isn’t all positive. It means dying. It means, as we see from the resting place of the older dragons, turning eventually to a kind of stone that hungers for more life. Anyway, it staggers me to think there are another nine or twelve after this one. I’ve enjoyed these three enough to finish them – and that’s no small matter given how long and sometimes tendentious they are – but I can’t see going on. I might take 15 minutes some time to read a few reviews and see what I missed, but I’m done. 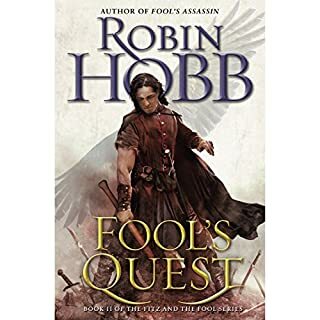 It’s a shame that Hobb, who really does seem more talented than the others in this genre, is invited to write such long works. I feel as if her work, and the whole genre, would be better served with tighter writing and a commitment to better editing. It's rare to find books this long that are actually interesting the entire time. After so many hours of having the such rich, well developed characters around, I really missed them when the book was over! 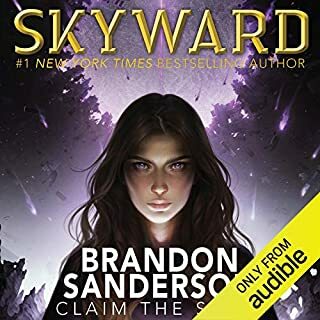 I'm not a big fantasy fan, but I found this series to be different and quite unique in some of the concepts used... although that is maybe a neophyte's opinion! The ending was somewhat unsatisfying, but the rest of the book was great. I was sad when it was over.